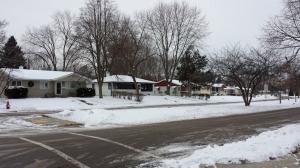 Listed below are homes for sale in Sherman, a neighborhood located in North Madison, WI. Listings are updated multiple times a day from the SCWMLS. For more information about any of these Sherman homes for sale, just click the "Request More Information" button when viewing the details of a property. We can provide you with disclosures, past sales history, dates and prices of homes recently sold nearby in Madison, and more. And, for your convenience, register for a free account to automatically receive email alerts whenever new Sherman listings come on the market that match your search criteria. Northern portion: Northport Drive to the north; Packers Avenue to the east; Commercial Avenue to the south; Sherman Avenue to the west. Southern portion: Sherman Avenue and Fordem Avenue to the west; East Johnson Street to the south; First Street to the east. Parks, schools, retailers and employers all surround the Sherman neighborhood on Madison’s north side. Sherman has been at the center of city plans to rejuvenate the north side of Madison. Those plans brought improved streetscapes and pedestrian features to every street that borders the neighborhood — Northport Drive, Sherman Avenue and Packers Avenue. Landscaping was added and trees were planted along the right-of-way, pedestrian footpaths and pockets of green space were added throughout the neighborhood, bike lanes were added to the streets, and distinctive signs and artwork now brands the area as a gateway into the city. The NorthGate Shopping Center located at the foot of Sherman’s residential area changed hands and new development breathed life into retailers there that include restaurants, ethnic markets and retailers. The site of a proposed North Transfer Metro Station commuter rail stop at Dane County Regional Airport is also nearby. Sherman was developed as a suburban community of single-family homes after World War II, although some of the homes were built in the 1930s and feature distinctive pre-war architecture. The homes south of Vahlen Street were built in the 1930s and 1940s. Many of the other homes in the neighborhood were built throughout the 1950s and 1960s. The area is popular for young families because of its affordable housing stock. Sherman Middle School plays a central role in the residential portion of the neighborhood. The southern neighborhood also includes a pocket of single-family homes along Sherman Avenue. 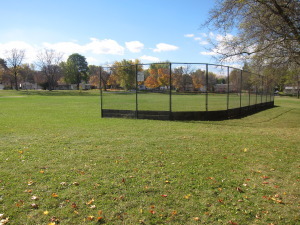 Warner Park is a short walk north of the neighborhood, and Carpenter Ridgeway Park is just blocks east of Sherman. Commercial centers flank its northern and southern borders with the NorthGate Shopping Center and the Northside Town retail center offering restaurants, shopping and markets. Madison College and the Dane County Regional Airport are about three miles northeast of the neighborhood. Downtown Madison is less than three miles south of Sherman, and Sun Prairie is about 10 miles north. East Towne Mall is less than five miles east of Sherman, and the East Washington Avenue commercial district is even closer. For information about finding a home in the Sherman neighborhood or to sell your Sherman home, contact our team for a better real estate experience. 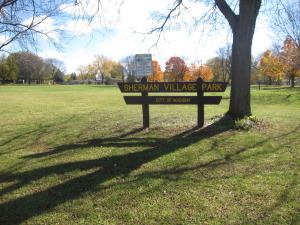 The Sherman neighborhood is located on the North Side of Madison in MLS area Madison – E04. Below are more homes for sale in that area.